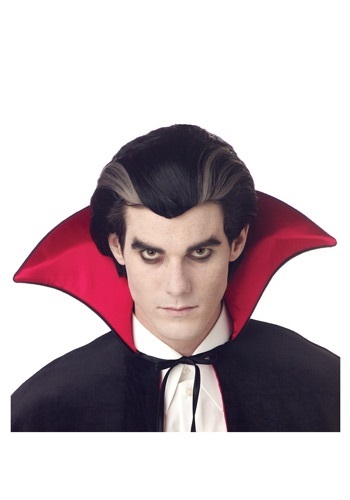 If you head to Transylvania and ask a barber for "the Dracula," odds are he won't know you want that perfectly mature, sanguine salt-and-pepper look to match your eyeliner and deadly fangs. In fact, he'll probably just look at you funny (at his own peril, little does he know). He probably doesn't have a clue that you are 700 years old, you have Frankenstein on speed dial, or that his funny look probably cost him the last of his cattle. That's why it's infinitely better to just transform your do with one of these synthetic black wigs with white streaks flowing backward from each temple. Besides, booking a flight to Transylvania just for a hair cut sounds like the plans of a crazy person (at least peruse a castle or two! ).